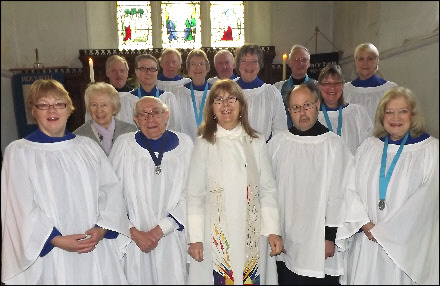 The church choir sings at the Sung Eucharist and Morning Worship services each month, as well as most of the special services during the year. We regularly take part in other choral events in the diocese, singing at Ely Cathedral and King’s College Chapel. There are currently 7 of us, 3 men and 4 ladies. We are a friendly bunch and welcome new members – music-reading ability is not a requirement. There are no auditions, just come along to one of of Friday evening practices at Holywell church (6.30 onwards) and give it a try! For more information, contact Ben Peilow.